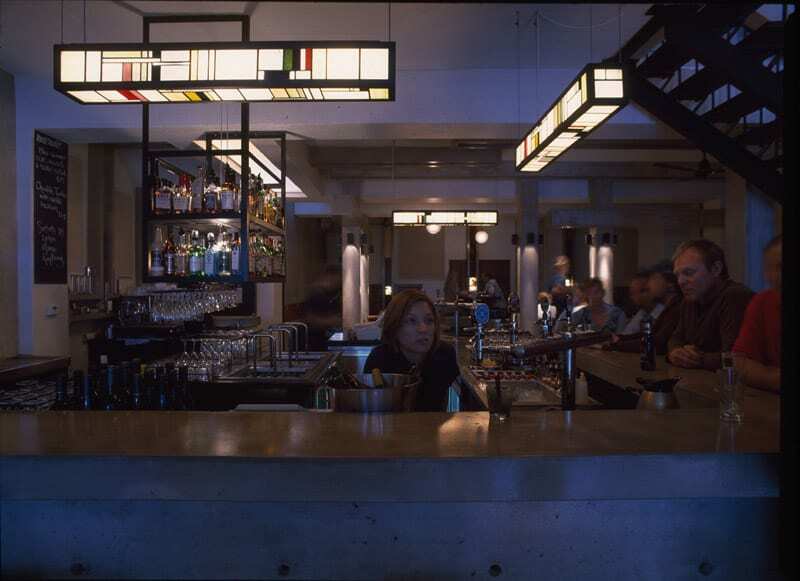 Working with Six Degrees, Frank undertook the major fit-out of this old Richmond pub, the two resolving many design issues together. 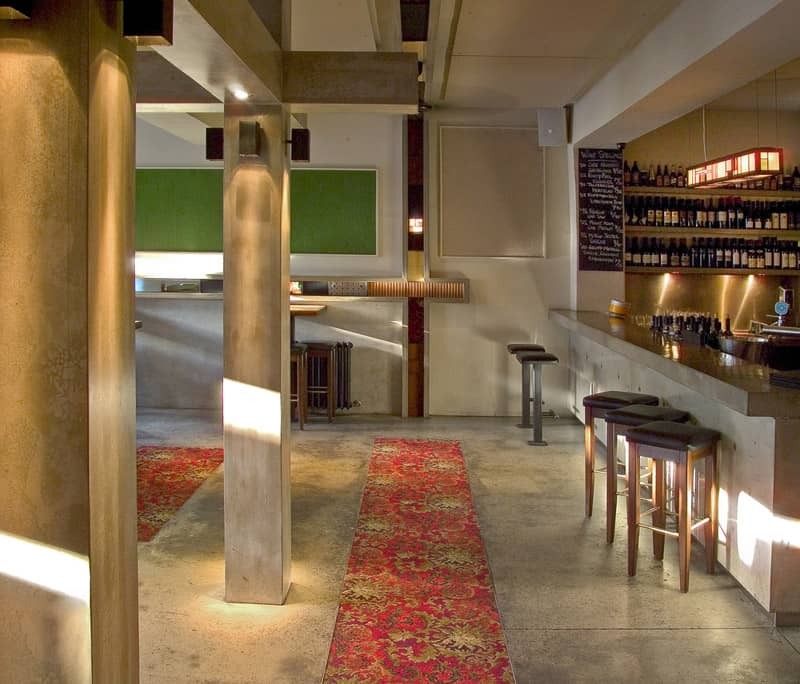 The extensive use of concrete and timber, including a beautiful cast-concrete bar, give it an honest, vault-like and robust character. 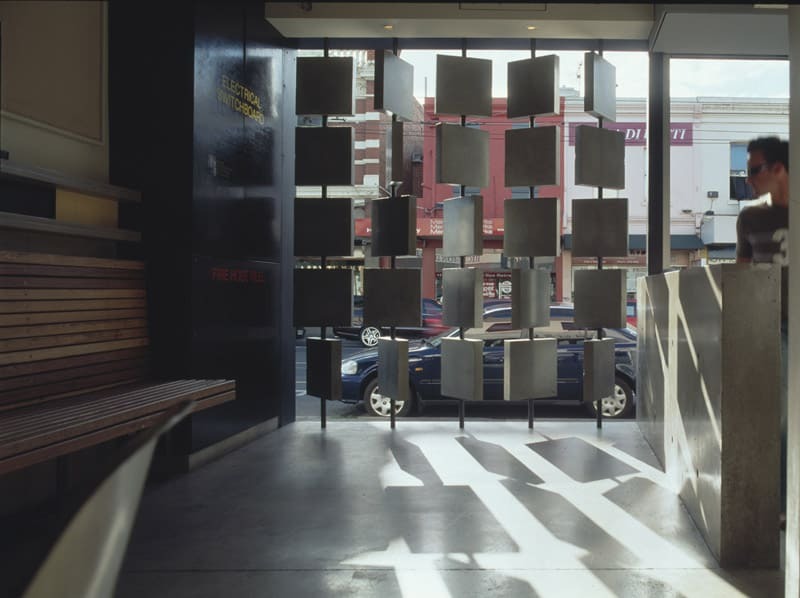 The threaded-concrete screening breaks the harsh western sun, casting shadows and drawing shafts of light through the space to gently illuminate the interior. 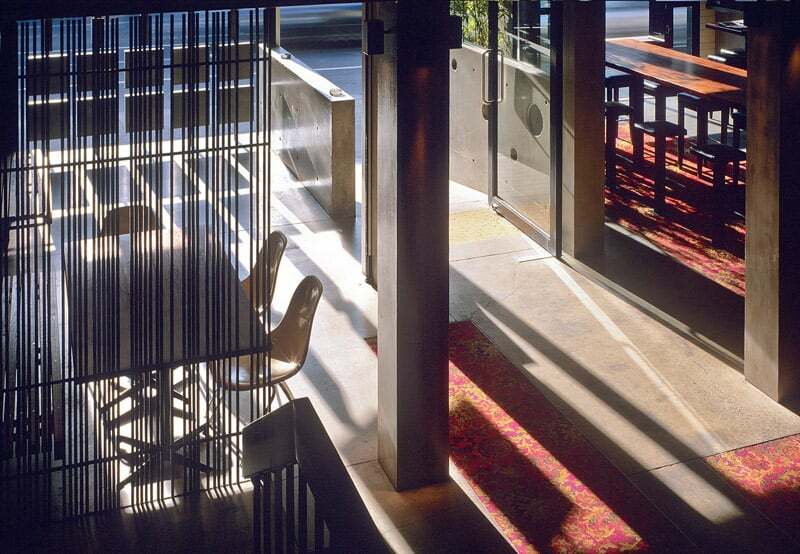 High timber bar tables and carpet rugs and runners keep the Public House faithful to its past, while the Mondrian-inspired lead-lighting, the generous landscaped garden and a stylishly spare dining space deliver a modern pub with an edge. 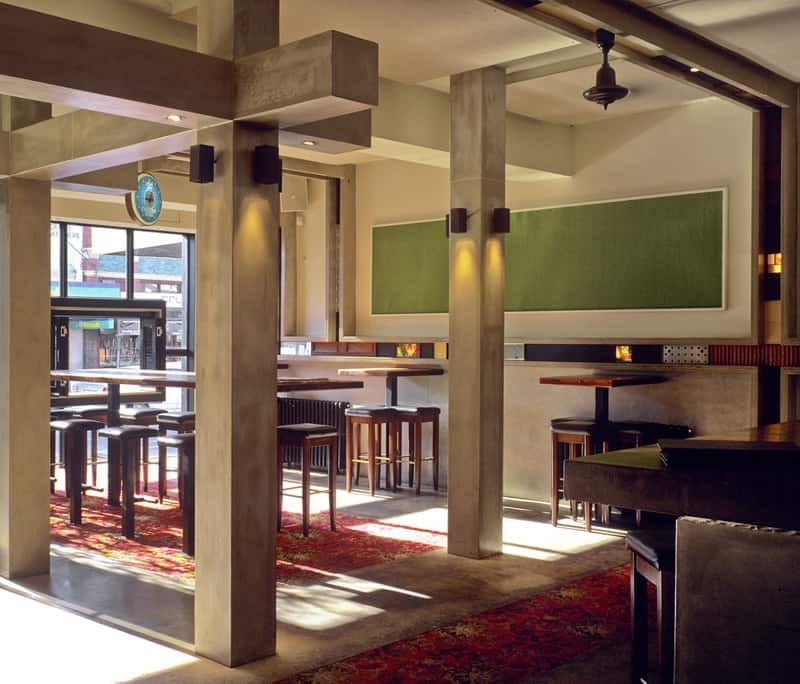 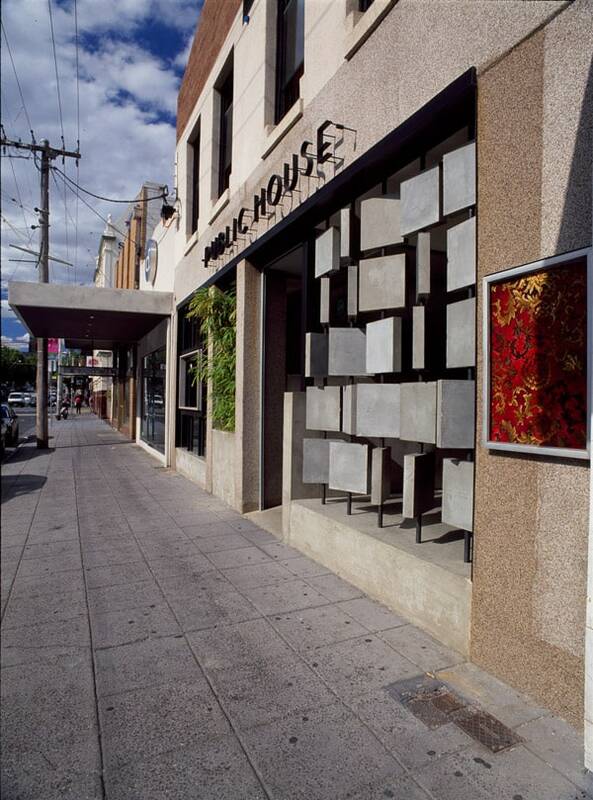 In 2005, Public House received a CCAA Public Domain Award, a national award for excellence in the use of concrete to enhance the public domain.